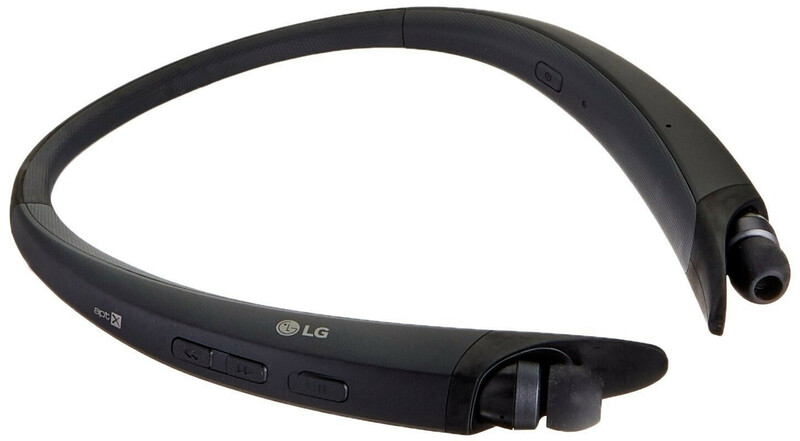 Deal: LG's Tone Active A80 neckbuds are 60% off, grab a pair for $30! Looking to get yourself a nice and affordable pair of around-the-neck wireless earphones? If that's the case, you might wanna check out Daily Steals' latest offer for the LG Tone Active A80 neckbuds. The e-commerce site is currently selling these in black and blue for $29.99, a discount of 60% when compared to the price on Amazon. The Tone Active A80 uses LG's Quad-Layer Speaker Technology that provides enhanced bass and middle-range tones and boosts overall sound quality through optimized audio equalization. The headset also features dual MEMS microphones for phone calls. The earbuds are retractable. These neckbuds are also water/sweat resistant and have a battery life of about 8-9 hours. If this offer interests you, make sure to follow the above link to Daily Steals. Make sure to act fast, as the discount is substantial and supplies are limited. Considering they have more functionality than AirPods with volume, and track control. Not to mention the battery last a lot longer, and for only $30. You even get different fitted ear bud options.